* PowerDrive+ 2 provides possibly the fastest possible charge to any phone or tablet. 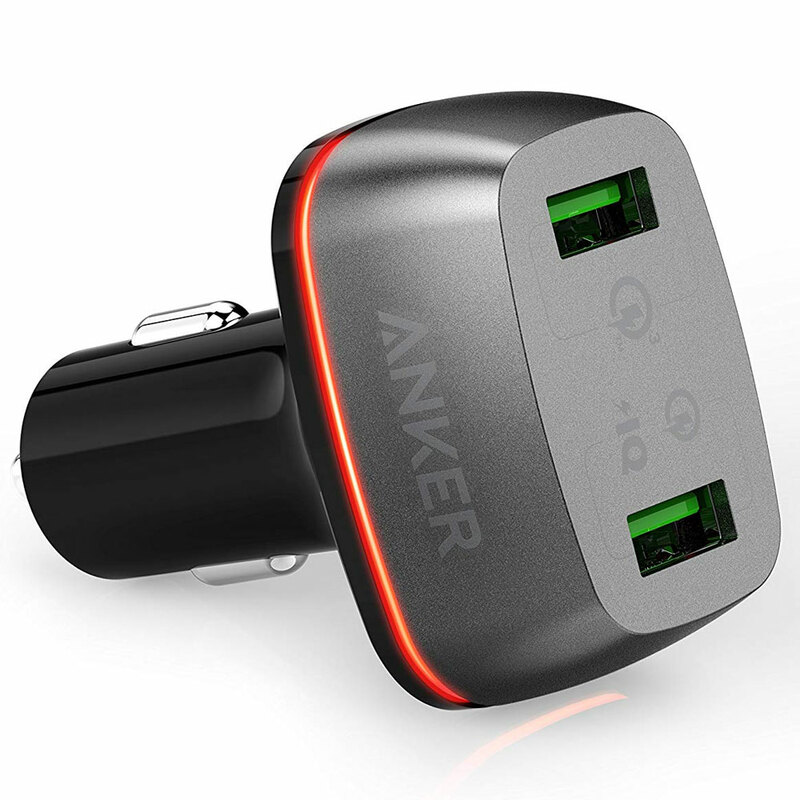 Quick Charge 3.0 in one port charges compatible devices up to 80% in just 35 minutes. The port is powered by Quick Charge 2.0, couple with Anker’s smart-charging PowerIQ. * A sleek and robust zinc-alloy finish complements your phones and tablets and subtly blends in with any car interior. A low-power LED ring helps locate USB ports at night without being a distraction. 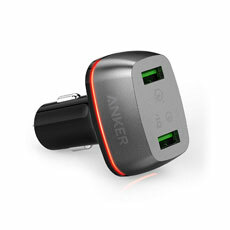 * PowerDrive+ 2 is one of the most compact 2-port USB car chargers on the market, allowing for easy use on the go. * Surge protection, temperature control, and more advanced safety features keep you and your devices safe. * Use your original cable or a third-party-certified one (such as MFi). * With a Type-A-to-Type-C cable, only regular charging speed is possible for Nexus 5X and 6P.